Written and recorded by John Denver, the tune was also recorded by André Rieu. This is probably one of his finest hits, but is it a folk song ? I'd say yes. It's one of many I have included on the site that's bordering on popular music. It's a beautiful tune and well worth learning. 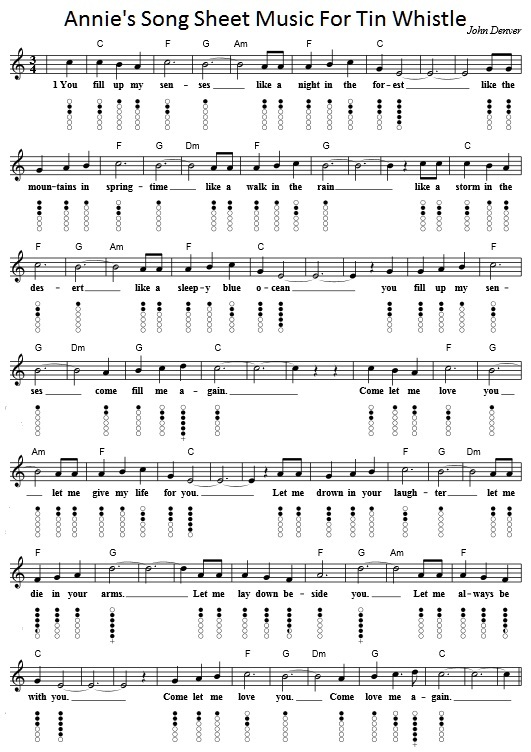 Each verse uses the same notes. I also give the easy to read letter notes because there's rakes of people who don't read music and this seems to help, well at least that's what they tell me. Notes are suitable for piano accordion and flute. 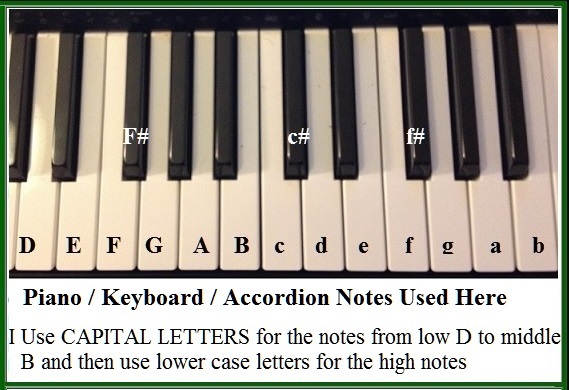 The above piano chart shows how to play the notes for the right hand on your piano keyboard or accordion.